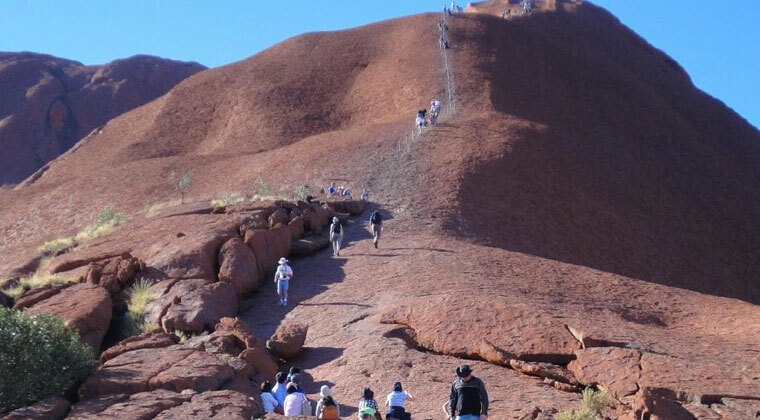 A Japanese tourist died while climbing the Uluru mountain in Australia, one of the country’s most iconic and sacred sites, authorities said on Wednesday. The man, 76, collapsed about halfway up the rock on Tuesday and could not be revived, according to the police, reports the BBC. Since the 1950s, at least 37 people have died on the climb, which will be banned from October 2019. Aboriginal Australians have long asked visitors not to scale the giant monolith because it is a sacred site and due to its cultural significance. More than 250,000 people visit the landmark every year. The most recent recorded death was in 2010.